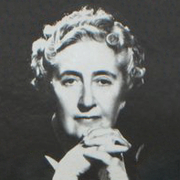 (nor)Agatha Christie also used the pseudonym Mary Westmacott for her non-crime romance novels. Northshire Classic Mystery Reading Group will meet Friday June 13th at 2pm in bookstore conference room. This group will meet every other month for a discussion of two classic mystery titles. Presentació de En cap cap cap, Paremiologia 2.0 i micromecenatge, a càrrec de Víctor Pàmies. Agatha Christie , Murder in Mesopotamia. Agatha Christie is currently considered a "single author." If one or more works are by a distinct, homonymous authors, go ahead and split the author. Agatha Christie is composed of 52 names. You can examine and separate out names.